This time its for an ABC/123 inchie swap. 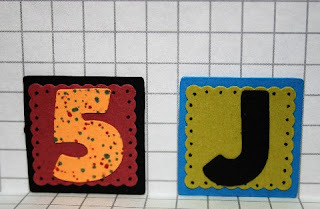 The hostess wants us to make 40 inchies of each letter/number so she can mat and frame them for her sons teacher. I signed up for the letter "J" and the number "5". 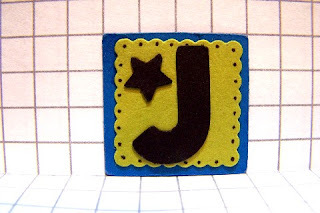 I added a star to the "J" inchie. I thought it needed a little something extra.